The dynamic economy of the 21st-century is creating an ever-increasing need for a well-built mobility system for commodities to reach the end consumer. Consequently, the captivating potential of Supply Chain Management (SCM) solutions has become a necessity for players in the logistics space. Intelligent supply chain solutions help companies enhance their customer experience, while addressing a wide array of problems in the logistics sector. Today’s SCM solutions leverage the capabilities of machine learning, artificial intelligence, and cloud platforms to help companies swiftly carry out their operations while reducing the margin of error. Supply chains solutions are also considering trends like crowd-shipping and corporate social responsibility to bring transparency into the processes and grow rapidly. The changing customer preferences as well as competition in the market demands solutions that can manage the end to end supply chain, taking into consideration the information flow as well as the rapid delivery of products. The supply chain landscape of today is flooded with myriad solutions and hence zeroing in on the right one that fulfills their business need remains as an uphill task for a CIO. 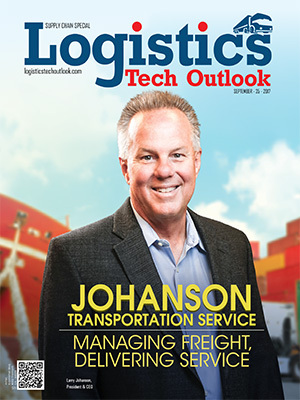 To help companies navigate through this market place, Logistics Tech Outlook is presenting a special edition on supply chain. A distinguished selection panel, comprising CEOs, CIOs, VCs, industry analysts and the editorial board of Logistics Tech Outlook has selected the vendors that exhibit competence in delivering supply chain solutions. 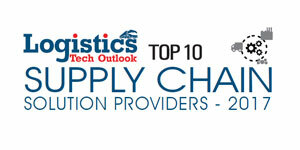 We present to you Top 10 Supply Chain Solution Providers - 2017.